Oshawa Assembly has been responsible for producing a number of GM's more memorable models over the years, including the Chevrolet Caprice Classic, Chevrolet Bel Air, Buick Century, and Chevrolet Camaro. 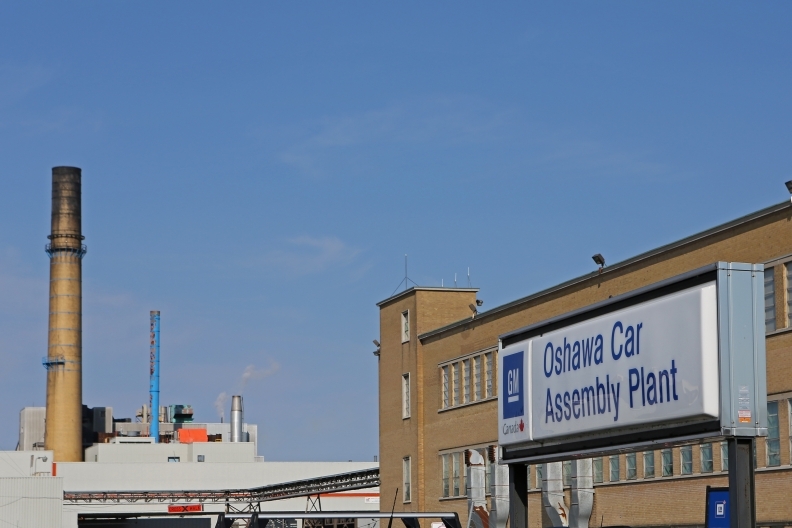 Though concerns had persisted for some time that General Motors of Canada's Oshawa Assembly was slated to be fully shut down by 2019, Unifor’s recent contract negotiations with the automaker succeeded in securing investment and production plans at the facility for the foreseeable future. The facility, one of Canada’s oldest having begun production of McLaughlin Buicks in 1907, currently builds the Buick Regal, Cadillac XTS, and Chevrolet Impala on the flex line and the Chevrolet Equinox on the consolidated line. Under the terms of the newly ratified labour agreement, GM will invest $400 million in facilities, tools, machinery and equipment to add capability to the flex line to accommodate production of both cars and trucks, which will make it the only facility in North America capable of doing so. GM’s investment commitment also includes a mid-cycle enhancement and extension of the Cadillac XTS and extension of the Chevrolet Impala. A new model has been promised to the facility, though no specifics have yet been confirmed. However, plans continue to end production on the consolidated line in 2017 as GM’s CAMI Assembly in Ingersoll, Ont., assumes full responsibility for building the new generation of the Chevrolet Equinox. The consolidated line is not “flexible,” being capable of building only one vehicle model at a time. With facilities spread over about 700 acres and totalling eight million square feet (743,000 square metres) – 5.1 million (474,000 square metres) for manufacturing operations and 2.9 million (269,000 square metres) for supplier truck parking and manoeuvering – the facility currently employs 2,700 people and is supplied with more than 8,300 unique parts by more than 880 vendors. Oshawa Assembly has been responsible for producing a number of GM’s more memorable models over the years, including the Chevrolet Caprice Classic, Chevrolet Bel Air, Buick Century, and Chevrolet Camaro. Since 1999, it has received nine awards for plant quality – four gold, four silver and one bronze – in the annual J.D. Power and Associates Initial Quality Study. It was also the site of one of the most significant labour disruptions in Canadian history. In 1937, more than 4,000 employees went on strike from April 8 to 23 demanding concessions such as an eight-hour work day, better wages and working conditions, and recognition of United Automobile Workers Local 222, which continues to represent the facility’s workers to this day. In its heyday in the 1980s, when it was known as the GM Autoplex and included Oshawa Truck Assembly (shuttered in 2009), the facility was one of the largest automotive production facilities on the planet, turning out as many as 730,000 vehicles each year. General Motors declined to say how many vehicles the plant built last year but the Automotive News Data Center says Oshawa produced 274,538 vehicles in 2015.